Nike is the founding board member of the Grace Awards and is its Chair, a reader's choice awards for excellence in Christian fiction. She has been a judge in the 2011, 2012, 2013, and 2014 Carol Awards in the suspense, mystery, and romantic suspense categories; and an Inspy Awards 2010 judge in the Suspense/Thriller/Mystery category. Her four novel Sanctuary Point series, set in the mid-1940s has finaled, won an award, and garnered critical acclaim. HARMFUL INTENT released under the auspices of her own publishing company, Crime Fictionista Press, won in the Grace Awards 2014 Mystery/Thriller/Romantic Suspense/Historic Suspense category. 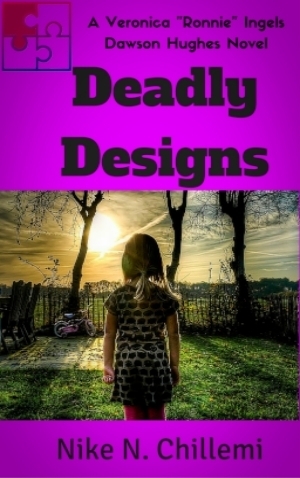 Her new release is DEADLY DESIGNS. 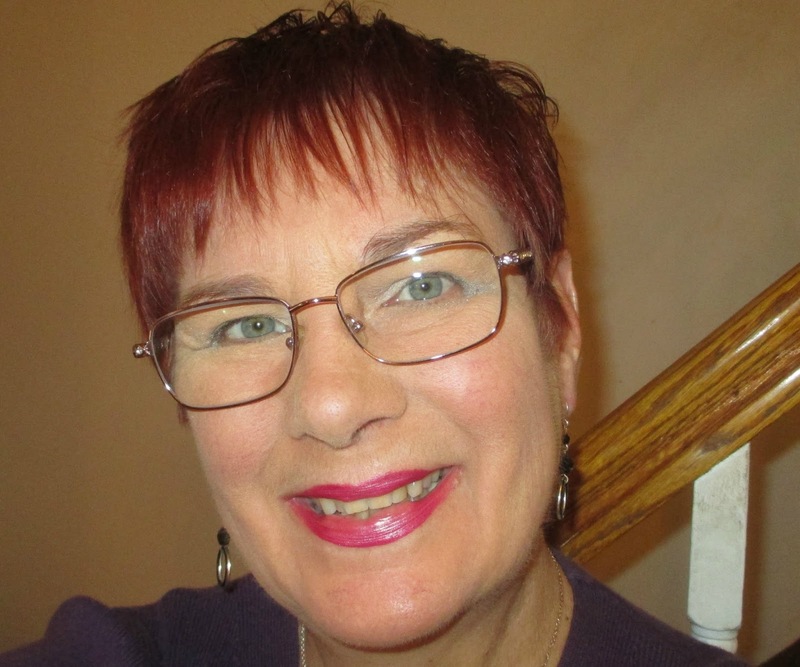 She has written book reviews for The Christian Pulse online magazine. 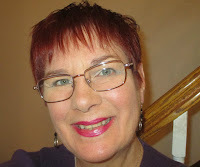 She is a member of American Christian Fiction Writers (ACFW) and John 3:16 Marketing Network. Learn more about Nike HERE. Private investigator Veronica "Ronnie" Ingels teams up with Deputy Dawson Hughes to find a geeky radio broadcaster's missing wife and young daughter. They fear the woman and child were taken by Islamic terrorists as revenge against the husband's pro-Israel, conspiracy theory broadcasts. The investigation takes Ronnie and Hughes from a manicured Connecticut estate, to interviews with an elitist A-List society crowd, and run-ins with cranky local police detectives. Then they plunge deep into the seamy, drug-riddled underbelly of the fashion world, with the specter of international terrorism hovering. Hughes has recently been promoted to lieutenant in the Taylor County, Texas Sheriff's Department. He's on leave on a special assignment with Authorized Operations (AO), a clandestine, quasi-government agency operating out of a sea-side mansion in Hither Hills, NY. The only thing is, many powerful politicians, and government big-wigs claim Authorized Operations doesn't exist. Ronnie is furious at both Hughes and the broadcaster for waiting thirty-six hours to start the search. She knows the longer it takes, the less chance there is of finding the child alive. The problem is, radio talk-show host Ed Harper has been hoping-against-hope that his pot-smoking, model wife is on one of her 'esoteric experiences' and has simply taken the child while she romps for a few days. He doesn't want to seriously consider the other, more hazardous possibility… that his radio broadcasts have angered some very dangerous people. Purchase the book HERE. Preheat oven to 350 degrees. Boil pasta slightly less than package directions. (I like to use bow-tie pasta because it looks festive and will hold up after boiling and baking, but any pasta will due.) Drain pasta. Spray a rectangular baking dish well with cooking spray. Return pasta to the pot, mix in one jar of yellow cheese sauce. (I use Ragu Double Cheddar, but Velveeta is good too.) Add salt, black pepper, and garlic powder. Stir in gently so you don't break the pasta. Pour half of pasta and cheese mixture into the sprayed pan and smooth evenly. Top with a layer of (1.5 oz) real bacon bits and (4 oz) shredded cheddar. Using a large cooking spoon, spread remaining pasta and cheese mixture carefully onto the bacon bits and shredded cheddar. Cover with thick slices of large ripe tomatoes. Sprinkle the remaining cheddar and bacon bits onto the tomato slices covering them. Cover with foil and bake for 30 minutes, until luscious and bubbly. Remove foil and bake remaining 15 minutes. Some of the top pasta pieces will be crispy. Let stand five minutes, then bring to the table. Protect your hands with potholders and be sure to set the pan on a heat proof trivet. Note: the photo shown of mine is before it went into the oven. This has always been a crowd pleaser. It can be baked at home then transported covered with foil and warmed in an oven, or baked entirely when you get to wherever you're eating your holiday meal.